The world turns and changes, as it has an annoying habit of doing, and Widergard changes with it. History becomes tradition, becomes fable and is reborn as the main feature at your local Seeing Stone Picture House. This is the shiny, bright New Age, you see. In modern Widergard they’ve got steam wagons, speech horns and performance art. And in Widergard the various peoples, men, goblins, elves, gnomes and the pix, have to get by as best they can – especially in the seething metropolis that is The Citadel. Crime is still with us too, but now that goblins carry shooters, down those mean cobbled streets a dwarf must walk tall. 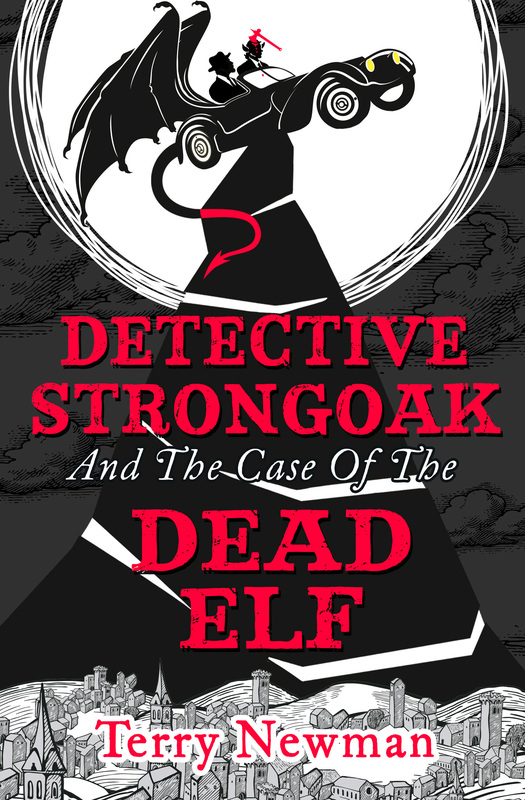 Yes, dwarves are still around as well; dwarves like Nicely Strongoak, Master Detective and Shield for Hire, and this is his toughest case. The ORIGINAL elf, orc, dwarf, detective modern mash-up and a #1 Kindle Bestseller Published by Harper Voyager on sale now: USA http://goo.gl/7I3sOo UK http://goo.gl/r3NJ8K. Next Next post: Where will you be reading this Christmas?